Monitoring electron spins for a prolonged time period poses to be a major barrier in quantum computing. 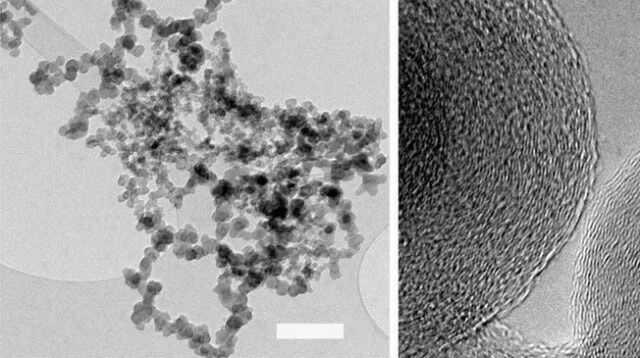 Scientists from EPFL have discovered the possibility of carbon nanospheres to overcome such barriers, even at room temperature. Electron spin is the rotation of an electron around itself, which generates a magnetic moment. In general, spin has direction and is capable of pointing up and down. Preserving this direction for a prolonged time period is necessary to develop quantum computers, where the standard bit is replaced by the quantum bit (qubit) which explains an electron’s spin state. Currently, the main problem revolves around the development of material platforms where electron spins can be monitored and also exist for a very long time. EPFL scientists have now discovered a solution to this problem using a unique variety of carbon nanospheres. The research is featured in Nature Communications. The feasibility of quantum computers was questioned by Richard Feynman in 1981. These machines are capable of being used for virtual simulations of quantum systems, specifically unbreakable encryption, and substantially rapid searches of large sets of data. Identifying a way to obtain sustainable and controllable qubits is the initial step to construct a quantum computer. Theoretically, the ideal method would be to exploit the varied spin states of electrons, “up” or “down”. Recently, the lab of Laszló Forró, based at EPFL, identified that nano-sized spheres of carbon have the potential to function as a platform where electron spin can be monitored, even close to 27ºC. This is a breakthrough because attempts at controlling spin have often been restricted to very low temperatures. The nanospheres overcome a problem known as electron spin “decoherence”, which explains the breakdown of electron spin states that generally occur when they are influenced by an outside perturbation such as a magnetic field. The reliability of information as it is conveyed in qubits should be taken into account when dealing with quantum computing. The information becomes corrupted and totally useless if the qubits fail to last a long time. The time-window of spin-state decoherence has proven to be extremely important. The existing requirements place it as ~100 ns, which is considered state-of-the-art. The scientists concluded that it was possible to monitor electron spin states for 175 nanoseconds under room temperature with the help of carbon nanospheres. This time duration exceeds the longest times in any such material of similar size. This research was headed by EPFL’s Institute of Condensed Matter Physics, with contributions from the University of Sydney, and the Freie Universität Berlin. It was financially supported by the Swiss National Science Foundation, the ERC, and the University of Sydney.